On Wednesday, Oklahoma coach Bob Stoops announced that sophomore linebacker Curtis Bolton will miss the first game due to injury. Stoops said Bolton has a strained patella tendon and won’t play against Houston on Sept. 3. 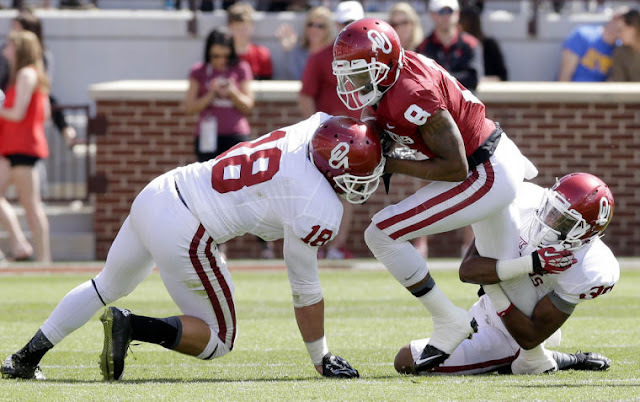 Bolton played in four games for the Sooners in 2015 after taking a redshirt his first year. He recorded no tackles. Inside linebacker coach Tim Kish praised Bolton earlier in fall camp.